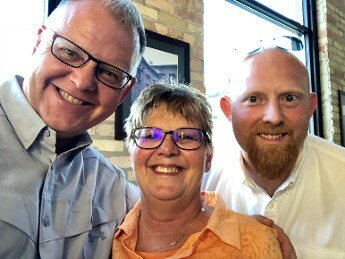 Our family-owned-and-operated business for home improvement services in Appleton, WI, was established in 1963 and purchased by Cynthia Sanders in June 2018 after 27 years with Valley Planing. Cynthia starting as an Accounting Clerk, then Operations Manager, then Executive Vice President eventually becoming President. Her son began working for the company when he was just 17 and is now the Operations Manager, and her brother is the head of Sales and Marketing. With more than 100 years of combined experience, our loyal staff is here to help you. We are members of the Home Builders Association of Fox Valley, so you know you're receiving expert advice. Our expansive showroom is equipped with displays that are complete with accessories, so walk-in customers and contractors can see the different moulding treatments in person. We have hundreds of moulding profiles, door hardware options, and door styles available. Here at Valley Planing Mill, we accommodate your every need because we are dedicated to your complete satisfaction. Over the years, we have developed and grown meaningful relationships with our customers to ensure we provide the most excellent service possible.